The twin-engined He 111 was the mainstay of the Luftwaffe's bomber arm at the start of World War ll. Accompanied by the Ju 87 Stuka dive-bomber, it provided the aerial striking power for all the early Blitzkrieg campaigns, sweeping all before it throughout the first 12 months of hostilities. Although it was found wanting when faced by the RAF during the Battle of Britain, it gained new renown on the Eastern Front. 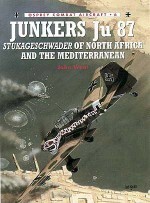 The He 111 bomber was in action against the Russians from the first day of the war until the last. It played a part in all the major battles and was employed in a wide variety of roles, including operating as a strategic bomber, torpedo-bomber (over both the Arctic Ocean and the Black Sea), train-buster, interim nightfighter and, latterly, as an auxiliary transport. 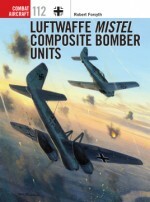 One of the world's finest profile artist, John Weal's love of German aircraft makes this work a treat for students of the subject. 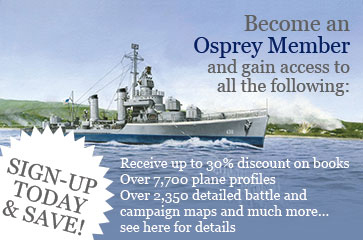 He has written three previous volumes in the Combat Aircraft series and more than a dozen Aces/Aviation Elite Units titles, all of which have been top sellers.John Weal is undoubtedly one of the best airbrush artists in the business, having illustrated more than 20 books for Osprey since 1994.